So you've finished a tour and now you feel more lost than ever! Here are some resources to help you get around. Scroll down to check out the map of my favourite spots, the list of the best books about the city and please don't forget to leave a glowing review! Want to try something a little different? This is a Da Vinci Code-esque treasure hunt adventure I created in Amsterdam. It's best with groups of 2 or more. Use discount code ROSYCROSS for 20% off! Sometimes you don't want a whole list of suggestions. You don't need to hear about 15 different sandwich shops - there's one that is simply the best. That's what we call the Best Of. Accept no substitutes. Click on the icons for more information and descriptions. And feel free to let me know what you thought of the places I recommend! Those Dam Boat Guys offer small group boat tours with fun and funny guides. Forget the big boring boats - these guys are the future! Van Gogh Museum is open until 10pm and they're serving cocktails. What more needs to be said? With over 130 beers on offer, friendly staff and a warm cozy interior, it's hard to imagine a nicer place to sit and sip your way through a selection of Dutch, Belgian, French and other beer from all over the world. A personal favorite is the Mooie Nel, a delicious IPA from the Jopen Brewery in nearby Haarlem. They claim to be the smallest restaurant in Europe. With only 3 tables inside, it's easy enough to believe. Climb the steep Dutch stairs and try a nice Cheese and Bacon pancake, covered in delicious syrup. That's how the Dutch do it. They've won lots of awards for being the best in town - it is rarely disputed! Try fries with Mayonnaise (it's a different, more delicious mayonnaise than what you get back home!) or, if you're feeling more adventurous, try Patat Oorlog (Fries with War sauce), which is a combination of Mayonnaise, Peanut sauce and diced onions. Very delicious. Then go sit in the Begijnhof gardens to enjoy them! The beer here is very good, plus they make the best Dutch beer snack - the Bitterbal. Beef ragout, breaded and deep fried and served with mustard. Goes great with beer. Very few places make them fresh, and here, they use their own beer in the batter! Delicious! Warning: They are piping hot on the inside. The place is tiny and always full... for a reason. When the weather is good they have a lovely slanted terrace. I like the Roast Beef Old Cheese on Brown bread but... they're all amazing. All they sell is this one chocolate cookie. It just so happens that it's the most delicious cookie in the world. A four story all English language bookstore with an excellent section on Amsterdam. Discounts for students. It's a historic market, it's the biggest, it has everything. It's lots of fun. Best souvenir? Slippers shaped like clogs. Comfy and funky! On Sunday you can head to the Noordermarkt instead! This place has the most delicious varieties of 'Dutch Gin' - just don't call it gin when you're there! Try the 'Superior' variety. Aged for 2 years in Jack Daniels oak casks! Delicious. They also have dozens of liqueurs if you want a softer flavor. Dutch Apple Pie is delicious. It's rare to get every single Amsterdammer to agree on something, but if you ask each and every one where the best pie is, they'll tell you - Winkel 43. Here is a more complete list of things to do. Don't be fooled - I only recommend good stuff! There is literally nothing on this list that I wouldn't happily go to myself. Click the icons for more information. If you're thirsty, here is a list of all the bars and cafes that get the much celebrated Dam Good Tours stamp of approval! Make your own pub crawl! Here are links to the best books to read if you want to really dive in. 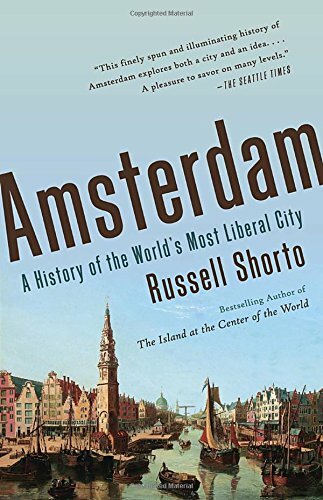 'Amsterdam' is a very well-written narrative history of the city by our adopted son Russel Shorto. 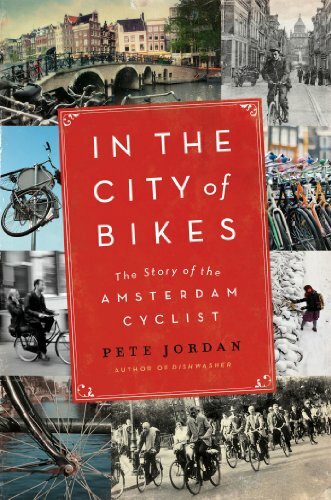 'In The City of Bikes' by Pete Jordan remains one of my favorite books about Amsterdam of all time. 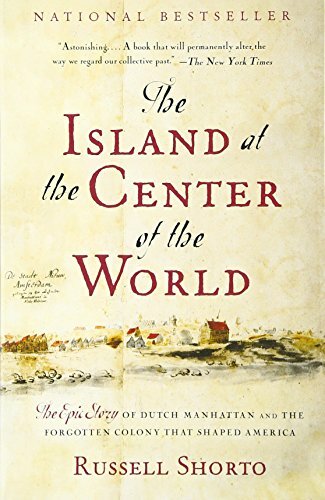 And finally, Shorto's 'The Island at the Center of the World' is about the history of New York under the Dutch is a wonderful examination of American history. 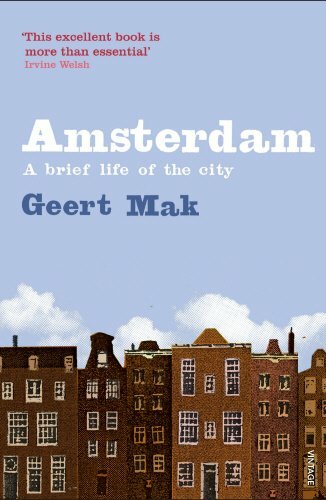 And finally, Geert Mak (what a cool name!) wrote the seminal history with 'Amsterdam: A brief life of the city'. All of them are great reads. Here's a bunch of videos to check out if you want to dive a little deeper into Dutch history and culture. A video playlist, made special just for your! I hope you enjoyed the tour as well as the rest of your time in Amsterdam. If you have any questions or comments, please feel free to contact me! Just for fun: What was your favourite thing in Amsterdam? Thank you for visiting Dam Good Tours! As a reward for scrolling all the way down, here's a joke! Why did the Scarecrow get a 5 star review? Because he was outstanding in his field! But seriously, please leave a review!